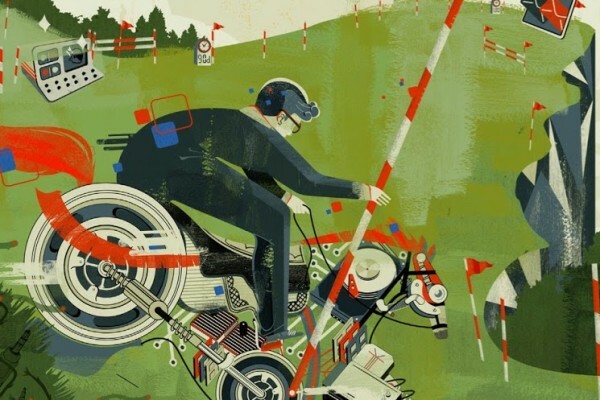 Here is a new illustration that Livia Cives just finished up for Deloitte University Press. 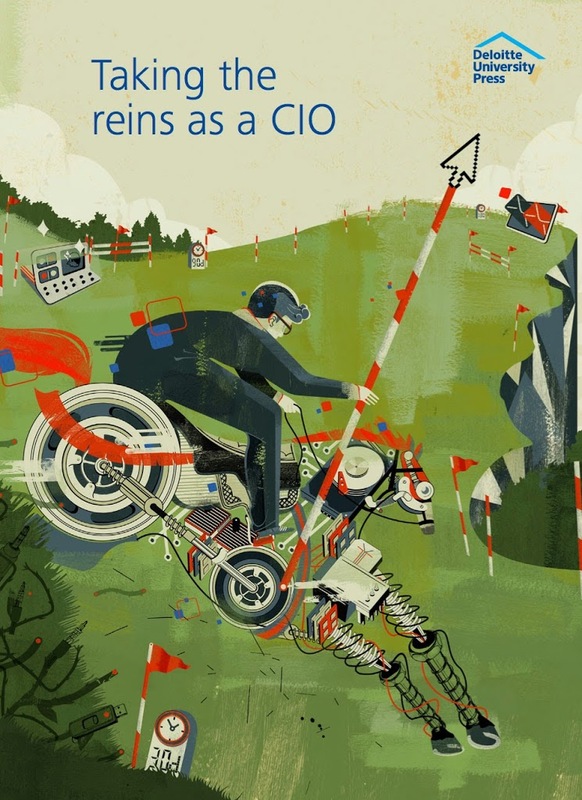 The title of the piece is Taking the Reins as a CIO, and Livia did a great job of illustrating the potential challenges and pitfalls that new CIO‘s often face. Love the minimal color palette!